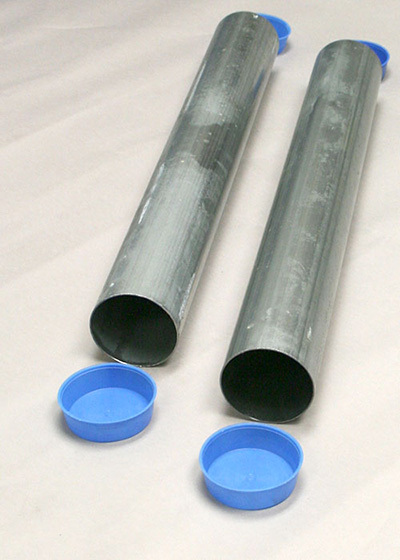 For 3" Round outside diameter tennis posts. The distance from center of post to center of post, should be 42 feet for doubles courts or 33 feet for singles courts. 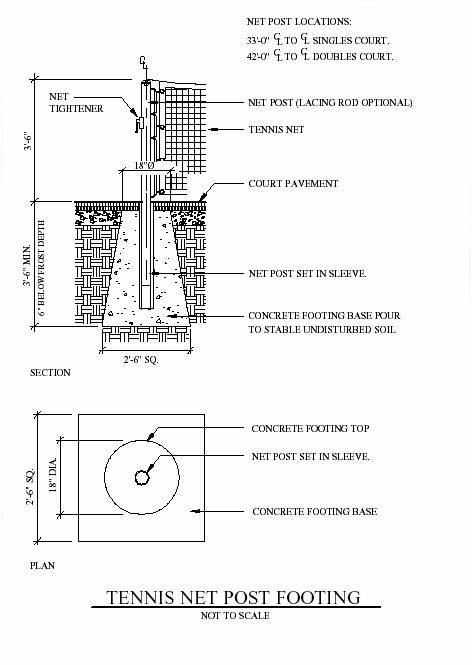 Anchor each post in a concrete footing as shown in the diagram. Pour the concrete into a bell-shaped hole 24 inches in diameter at the top and 30 inches in diameter at the bottom. Make the hole at least 36 inches deep. While pouring the concrete hold the ground sleeve in place with the plugged end down. Use a plumb line to set the sleeve pointing straight up. You may also set the net post into the sleeve and use a level. Let concrete dry. The footing dimensions illustrated are approximate and may be varied in different regions according to local soil and frost conditions.